Here follows a short resumé of the De Bock family of Irma Victorine De Bock, the wife of Emiel Noë (C VIII c). We start with the parents of Irma De Bock and work backwards in time. Charles Louis De Bock, born in Boekhoute on 6 May 1852. He was married in Assenede on 29 October 1879 with Victorine De Neve. She was born in Assenede on 3 July 1849, the daughter of Jacobus Bernardus de Neve and Sophia Josepha Pieters. She died in Watervliet on 30 August 1927. He died on 4 November 1940 also in Watervliet. They had 5 children. Irma Victorine De Bock, their first, was born in Watervliet on 8 August 1880. 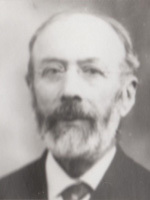 Pieter Bernard De Bock, born at Boekhoute on 31 December 1820. He married there on 14 July 1851 with Sophie Joanna Van Kerckvoorde who was born at Boekhoute on 25 April 1824, the daughter of Carolus van Kerckvoorde and Carolina Van Laere. They both died at Boekhoute, he on 15 July 1865 and she on 9 November 1906. Joannes De Bock, born at Assenede on 6 April 1771. On 21 June 1815 he married at Assenede with Agatha Sophie Teirlinck who was born at Boekhoute on 14 February 1782, the daughter of Matthias Teirlinck and Anna Catharina Van Laere. Joannes died at Boekhoute on 18 October 1843 and Agatha, his widow died at Assenede on 2 April 1870. 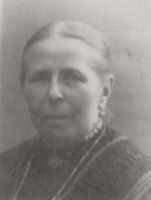 Maria Cornelia. About 1845 she married Henricus Josephus de Smet. Franciscus Bernardus De Bock was born at Assenede on 12 December 1738. He and Georgia van de Kerckhove had the banns published at Assenede on 9 April 1768. She was born in Oosteeklo on 6 August 1746, the daughter of Jooris van de Kerckhove and Joanna Coppejans. They both died at Assenede, she on 6 December 1786 and he on 8 January 1811. They had one child: Joannes De Bock, born at Assenede on 6 April 1771. (see 3 above). Egidius De Bock was born at Zelzate on 23 May 1697. On 25 June 1720 he married at Ertvelde with Joanna Steel. She was born in Zelzate on 29 January 1700, the daughter of Martinus Steel and Elisabeth Timmerman. They both died at Assenede, Egidius on 4 October 1758 and Joanna on 11 December 1778. Joannes de Bock was born about 1665. He married at Zelzate on 27 February 1688 with Elisabeth de Blieck. Elisabeth was born at Zelzate on 6 February 1658, the daughter of Joannes de Blieck and Adriana Hamelinck. Both died in Zelzate, he on 12 February 1702 and she on 6 January 1719. Adriana De Bock, born in Zelzate on 20 November 1688. She married there on 18 April 1708 with Joannes Noë (C III). Joannes was born in Zelzate on 22 May 1686, the son of Joannes Noë and Elisabeth Bochaute. He died in Zelzate on 13 March 1746. Egidius De Bock, born at Zelzate on 23 May 1697. (see 5 above). We don't know who his mother was. In short: Egidius, ggg-great-grandfather of Irma De Bock, had a sister called Adriana who was the ggg-great-grandmother of Irma's groom, Emiel Noë. Doorzoek deze De Bock webstek ! Onze beste dank voor deze prachtige stamboom aan R.B. Dit is (op enkele aanvullingen na) haar werk. Wij zijn haar ook heel dankbaar voor haar toestemming voor de publicatie hier van dit groot werk. Suggesties, aanvullingen en verbeteringen zijn steeds heel welkom. Neem aub contact op met ons.